Note: "Auto-Lube", our bearing lubrication system, is available on all models. 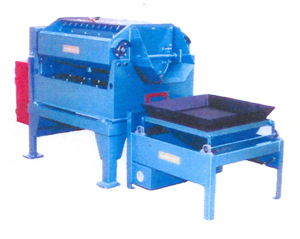 Rubber mount vibratory deburring and burnishing machines offer the ultimate in production mass finishing. In our dual shaft machines, a true round orbit is achieved, by both shafts working in the same direction at all times. A fixed 1750 vibrations per minute is standard on all tub type vibratory deburring machines. As an option our "ELECTRONIC" variable speed is available for added control. The dual shaft machines have a load capacity of 400# per cubic foot while the single shaft machine can drive 300#. A full opening door allows for fast total evacuation of the finishing chamber, resulting in 100% part removal at all times by observation. The machine liner and end plates can easily be replaced in the field. This eliminates the necessity of disassembling the unit and returning the tub to the manufacturer for reline. Oakland Products distributes standard equipment, designs and builds custom systems for washing, filtration, high-pressure coolant, coolant recycling, and high-pressure cleaning.